Established in 1979, we have accumulated more than 30 years of experience in providing high quality wallcoverings to our customers; both domestically and internationally. 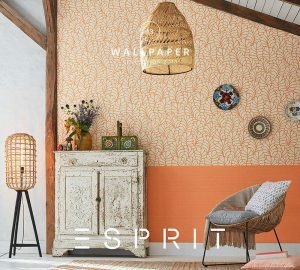 We are the official distributor of the leading wallcovering brands from around the world and have exclusive rights on more than 5000 designs to suit your every need. We are currently the only wallpaper manufacturer in Thailand. The product can be customized and specified on both the sizes and the designs, and manufactured based on your specific requirements. MD Wallpaper is currently the only wallpaper manufacturer in Thailand. Our factory, MDI Industry, is located in Chonburi province, approximately 80km East of Bangkok. It is the manufacturer of the products of the MD Group, which includes wallpaper, tie-backs, trimmings and tassels. Established in 1994, we have accumulated more than 30 years of experience in wallpaper production. Our company’s policy of producing high quality products, along with modern designs has helped our brand to be widely recognized and highly regarded, both domestically and internationally. Our wallpaper products have passed every criteria of the necessary standard tests for commercial markets in the USA. The tests, conducted by the Commercial Testing Company in Georgia, USA, include all of the important factors for good wallpaper products such as fire retardation, colour fastness to light, washability, stain and tear resistance, and shrinkage. This means that our products are now fully certified for the USA, and the international markets. On 22nd October 2014, MDI Factory, the manufacturer of products of the MD Group, is awarded the Thailand Trust Mark (TTM) by the commissioner of the Department of International Trade, Ministry of Commerce. The Thailand Trust Mark (TTM) is a symbol that endorses selected high-quality products from Thailand. Companies with products that bear the TTM symbol must meet the highest international product standards, and therefore consumers are assured of the highest value and quality. 100% Guarantee. Product quality is our priority. We only use high quality materials in our manufacturing process to ensure that our products are of consistent high quality, and meet the required international standards. We are the exclusive distributor of many of the world-famous brands, such as Versace Home, Porsche Design, Esprit Home, and Daniel Hechter collections. Our other exclusive collections include Disney and Barbie collections, and Thai-inspired Line’s Thai and Art of Wall collections. We are the centre for designer-inspired wallcoverings. 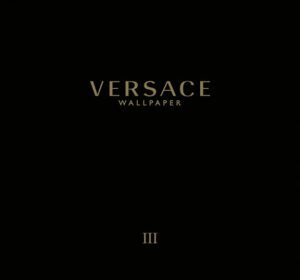 Many of our collections are designed by world class designers, such as Gianni Versace, Lars Contzen and Michaelsky, who expressed their creativity and visions onto wallpaper to ensure that your home would be stylish and unique. Our expertise and reputation has allowed us to accumulate more than 2000 dealers nationwide at present. Our products can also be found at Modern Trade stores across the country such as Home Pro stores, SB furniture and Index Furniture stores. Most of our collections are in stock and ready for order. As a manufacturer, should there be a need for customization or large quantity of the wallpaper, we can also produce and deliver the products within 7 days. We offer full service and assistance to our customers, from design consultation, measuring the space, delivery, installation, and conditioning and repairing by qualified professionals.